Created for NASA. Still Launching Careers. Recognizing the need for higher education in the growing Clear Lake area, the 62nd Texas Legislature authorized the establishment of a second University of Houston campus in 1971. Legislators cited a 1968 report by the then Coordinating Board, Texas College and University System (now the Texas Higher Education Coordinating Board) when approving the new campus. In 1973, the Texas Senate authorized construction of a permanent campus at Clear Lake. I learned a tremendous amount working on various team projects with NASA engineers, senior health care leaders, physicians, nurses, attorneys and many other professionals with an array of industry expertise. I often learned as much from my classmates as I did from my professors as they brought real-world experience into class projects and discussions. Construction on University of Houston-Clear Lake Bayou Building began in 1974. By September, under the leadership of the university’s founding chancellor, Alfred R. Neumann, 1,069 students and 60 faculty began classes at an off-site location while waiting for the new building to be completed. In May 2009, UHCL partnered with the City of Pearland to create UHCL Pearland Campus, a 30,956 square-foot facility designed to connect Pearland area students to quality bachelor’s and master’s degree programs. Classes officially began at UHCL Pearland Campus in 2010. Expansion continued on the Clear Lake campus after UHCL received legislative approval to add freshmen and sophomore level courses to its population. In fall 2014, UHCL welcomed its first freshman and sophomore students to campus. Regardless of age, area residents have been empowered to achieve their academic objectives with the support and encouragement of UHCL faculty and staff. 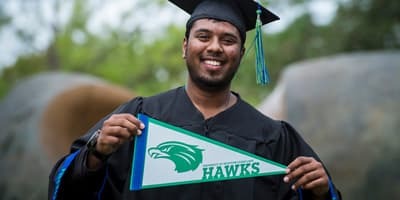 UHCL’s Colleges of Business, Education, Human Sciences and Humanities, and Science and Engineering offer courses leading to bachelor’s and master’s degrees in over 40 fields of study, allowing thousands of graduates to embark upon a new career or advance their current path. In 2007, the university offered its first doctoral degree program, the Doctor of Education in Educational Leadership. The list of doctoral degree program options continues to expand in keeping with the growth of our student population and the demand for doctoral degrees. 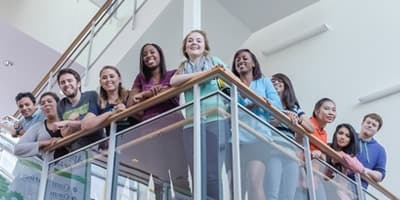 In its short history, UHCL has earned a distinctive reputation as a student-centered, community-minded, partnership-oriented university with strong connections to area businesses, organizations, schools and individuals that enhance the regions educational, economic, cultural, scientific, engineering and professional environment. The Carnegie Foundation for the Advancement of Teaching selected UHCL as one of 119 U.S. colleges and universities for its 2008 Community Engagement Classification. 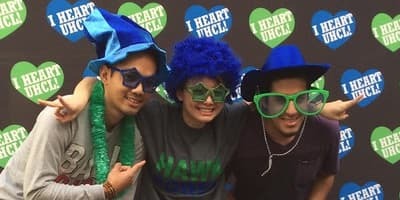 UHCL is also a five-time recipient of the President’s Higher Education Community Service Honor Roll, the highest federal recognition a college or university can receive for its commitment to volunteering, service-learning and civic engagement. The university's numerous institutes and centers, such as the Environmental Institute of Houston, Center for Autism and Developmental Disabilities, Center for Educational Programs, Psychological Services Clinic and Center for Executive Education, reflect UHCL's commitment to community service. Situated on a 524-acre wildlife preserve, UHCL has become a cornerstone of higher education in Texas. Since opening its doors in 1974, the university has awarded more than 75,000 degrees, each resulting in expanded employment prospects, brighter futures and changed lives.